You’ve spent the last few months searching for that perfect property in France with idyllic views, the most up-to-date mod cons and those intricate details that you had been looking for. You’ve got the money in the bank to complete the purchase in cash, but with all the focus being on finding that dream home, you haven’t had a chance to think about which is the most efficient and cost effective way of financing the purchase. Here we are going to help you look at the options available when considering the purchase of a €1 million plus property in France. 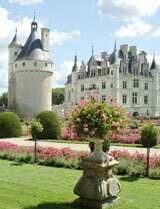 There are a number of things that you need to take into account when purchasing a larger property in France. From very simply considering whether it makes sense to purchase the property in cash (using sterling assets), and therefore tying up huge sums of money in the property, to thinking about the foreign exchange and tax benefits of potentially securing a euro mortgage against the property. The huge majority of French property purchases by non-residents are completed without using a French mortgage (around 70% in 2007 according to one major French lender). However, the overwhelming majority of individuals who purchase property in the UK or US wouldn’t dream of doing so without using some sort of mortgage, so why is this not the case when buying a second home abroad? Furthermore, with the recent challenges in the global financial market, it is no longer as easy as it once was to raise money against a property in the UK. As the level of information available regarding French mortgages improves, non-resident French property purchasers are realising the financial benefits of financing some, if not all, of the purchase cost by using a French mortgage. For UK based buyers, one of the largest incentives to use euro finance is the natural hedge it provides against movements in the £/€ exchange rate. Not only does using a French mortgage help reduce the sterling cost of completing the purchase, but if you have used sterling based assets or finance to fund the transaction, it also helps ensure the value of your debt and new property asset move in tandem (in sterling terms). Using an example of a property purchased for €1,000,000 and financed using a sterling based mortgage, for every 1 cent drop in the €/£ exchange rate, the value of the property falls by around £7,600 in sterling terms, but the value of the debt used to purchase the property stays the same! If the property had been financed using 50% sterling assets and a 50% euro mortgage, any movement in the exchange rate would be naturally offset as the sterling value of both the debt and the property would change. The other major benefit of using a French mortgage to finance at least part of the purchase price of a high value property is the potential wealth tax benefit it can offer. Anyone who owns assets in France worth € 790,000 or more is liable to pay wealth tax. Wealth tax is payable on an annual basis and is calculated on all net assets over this threshold. Any mortgage secured against the property can be offset against wealth tax, reducing the ‘net’ value of the asset. If a property is valued at €2.5 million and has a mortgage of €1.75 million secured against it the ‘net value’ of the property in the eyes of the French tax man is €750,000, therefore bringing the value of net assets for that individual (assuming they don’t have other assets in France) below the wealth tax threshold. Furthermore, if you are considering renting out your property, it may also be possible to offset some of the rental income against mortgage interest payments. There are essentially two options open to you when considering taking out a large mortgage in France. The first is for you to approach the mortgage lenders directly and see what they are able to offer – with the large numbers of potential banks in the market this would obviously take some time! The second option would be to work with a good French mortgage broker who will be able to assess your individual circumstances and find the most suitable product for you. The advantage of this approach (in addition to the broker doing all of the work for you!) is that not only will the French retail banks consider these large mortgages but so will a number of both private and offshore lenders. The second advantage to using a broker is the simplicity of the process. As a general rule, lenders in France are more conservative with wealthy clients whose income can be derived from a number of sources – explaining this situation simply to a lender in France can sometimes prove fairly complicated. A French mortgage broker will be able to break everything down, fully understand the situation and then be able to present it to the lender as simply and clearly as possible. So if you would like to gain a better understanding of the most efficient way to finance your new French property purchase why not contact one of our French mortgage experts today?